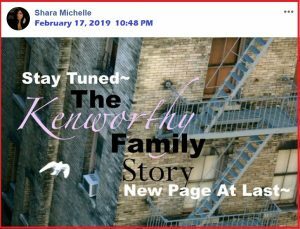 Who Killed Shayling Kenworthy? – Kent Hovind v. Robert Baty – The Great Debates! The following exchange was initiated by Lee Kenworthy and ended when Lee Kenworthy failed to further respond. The venue was the FaceBook Messenger feature of Robert Baty. If your going to do any stories why not at least talk to me and hear from me directly before you spin and contort facts . That’s a good idea, Lee. Right now, what can you tell me about what happened at the status conference/hearing in your Housing Authority case on July 24, 2018. Where are u located exactly maybe an in person interview may be worked out … before I go into answering more questions we would need to set the record straight on a few things. Colorado, and I am all for “setting the record straight”. Right now I would like to know the details of what happened in Court on July 24. If there are other issues you want to take up, preferably after you give me that report, just let me know. It would need to be before as your journalistic integrity would need to valid if I give you more details. That’s your call. You can tell me what you think went on in Court on July 24 or I can wait for additional docket entries/documents to be posted. I am more than glad to chat, otherwise, if it is determined that there are matters of mutual interest we might wish to take up. How exactly do u propose I killed my wife. Do you know why they say King David killed Uriah? Do you know why they say Kent Hovind sent his wife to prison? I say you killed Shayling based on the same reasoning? So your angles are self serving and protect those who are guilty. I’m talking about your wife and your situation. The cops didn’t kill your wife that night. You, Lee Kenworthy, killed your wife. No embellishments, actual facts. It’s your angles that are self-serving and your own guilt that you are trying to evade. I get that. 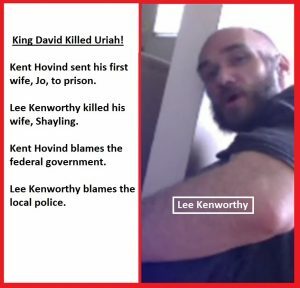 Do you even know/understand why they say King David killed Uriah and Kent Hovind sent his wife to prison? You were there in the room ? And you know us ? No, I was not there. No, I do not know you apart from what I’ve seen on the Internet. U will not answer because you have no integrity. What uve seen is a family asking for justice. We had 2 subjects to consider: (1.) The July 24 Court proceedings in your Housing Allowance case and (2.) Why I say you killed Shayling. You, Lee Kenworthy, are the one NOT ANSWERING! Let me know if you wish to discuss those matters before we indulge in other matters of possible mutual interest, and we can negotiate how that discussion might be properly advanced. See truth is not a negotiation…. have a good one. I didn’t say anything about negotiating the truth. I know the truth. The negotiations I suggested were to be about what we might have a mutual interest in discussing and how to best advance such a discussion. 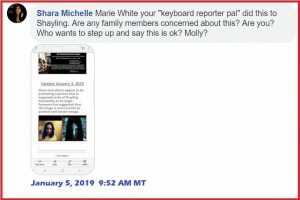 Ya I could tell you know the truth like I killed my wife cause you were in the room where the officers pulled her away from me giving her cpr then denied her any services oxygen and u say I killed her … ya integrity your strong suit. Yeah, I’m miles ahead of you, Lee, in the integrity, credibility, truth-telling department, but that’s yet another issue you have tried to deflect to. I’m not chasing rabbits, Lee. 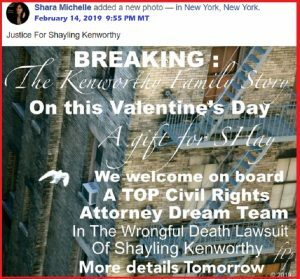 You want to talk about what happened in Court on July 24, or why I say, without fear of successful rebuttal, YOU, Lee Kenworthy, killed Shayling, let me know and maybe we can produce a proper discussion of those issues. Lee Kenworthy files wrongful death suit. 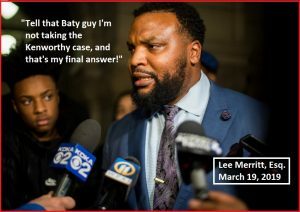 Lee has affected service of summonses in his wrongful death suit and Answers are due later this month. 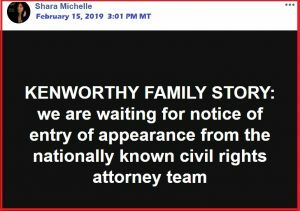 As it turns out, Samantha Brown, Lee Kenworthy’s open marriage 3rd party participant and girlfriend, was the one who actually affected service of the summonses for Lee. Briefs for dismissal in the wrongful death suit as filed by defendants. 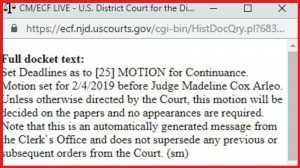 The Court may rule on the motions to dismiss later this month. Freedom Public Press’ ace reporter, Shara Cronkite, again promising a blockbuster report, at some time, at some place. Watch for it! Bwahahahahaha! Looks like I scooped Shara again! 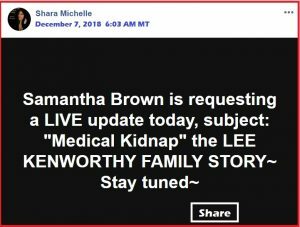 Lee Kenworthy v. Heather Christensen, et al – Breaking News! 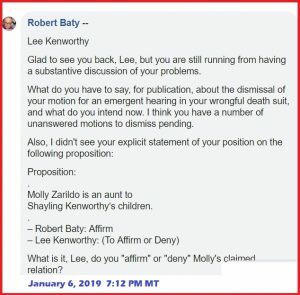 Lee Kenworthy threatening Robert Baty again! Shara and others appear to be promoting a picture that is supposed to be of Shayling Kenworthy as an angel. Someone has suggested that the image is more similar to another well-known image. For the following reasons, the request is DENIED. and specific showing by affidavit . . . Plaintiff has not met that standard. of success on the merits of his underlying action. 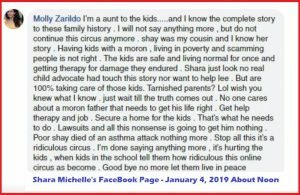 A cousin of Shayling’s has stepped forward to openly challenge the False Kenworthy Narrative. 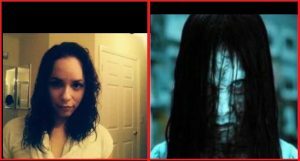 She has made her appearance on Shara’s page, and elsewhere. More defendants ask Court to rule on the motions to dismiss rather than allow Lee to delay such rulings. 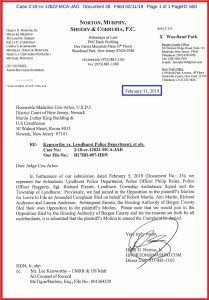 Two more letters of opposition to Lee Kenworthy’s legal antics in delaying the anticipated dismissal of his wrongful death suit. Links to files containing letters below. 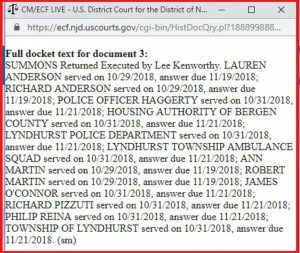 No lawyer has filed an appearance for Lee Kenworthy, as has been expected, but Lee did file a motion to amend his COMPLAINT and a copy of his AMENDED COMPLAINT for the Court to consider. Links below are to files containing these new documents. Brief in opposition to Lee Kenworthy’s motion for more time and to file an amended Complaint; filed 02012019. A followup letter of opposition to Lee’s motion! 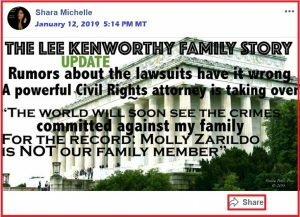 I think what Shara and Lee are cleverly trying to deny is that Lee’s deceased wife has any relatives named Molly Zarildo. 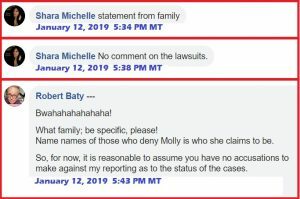 Did they ever consider and investigate the possibility that “Molly Zarildo” is not the real name of the person using that account and which is actually related to Shayling Kenworthy? I have seen no evidence that they have, and I have heard rumors that such may actually be the case. 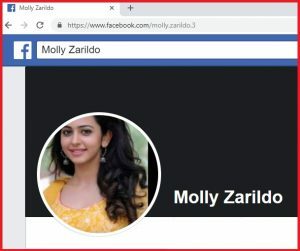 I’m convinced the person using the account name of Molly Zarildo is as claimed; a relative of Shayling Kenworthy. Bwahahaha! More lame promises from Shara/Lee! Too little, too late, in my opinion; time will tell! 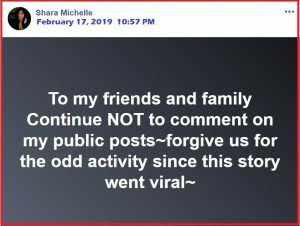 Notice the time of Shara’s post below. 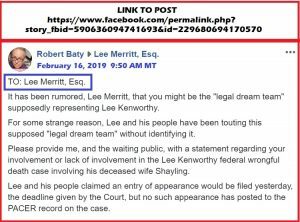 It is now past 10:00 PM Eastern Time, and no entry of appearance or other public notice from Shara or Lee about any appearance by any attorney on behalf of Lee Kenworthy in his wrongful death suit. Then Lee shows up, pops off, but doesn’t really tell us anything about what is going on! 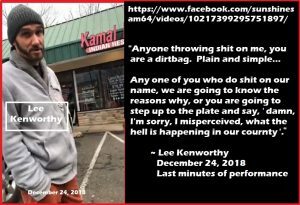 Today Lee Kenworthy “shared” a short video of a speech by Lee Merritt which Lee Merritt had posted this morning to his FaceBook page at the following link. So, I posted the message below to Lee Merritt via his FaceBook page thread at the link below. the Complaint, (ECF No. 30), on or before 3/22/19. 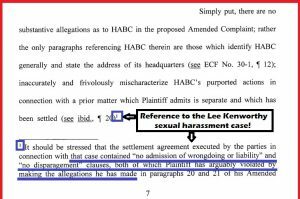 Formal brief opposing Lee’s motion to amend his Complaint has been filed, and it sounds pretty convincing to me. 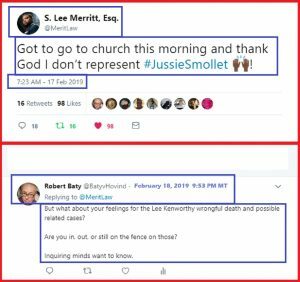 Lee’s motion should be denied and the case dismissed with prejudice. It doesn’t take “years” with sessions “every other week” to convince the decision makers that there are no mental issues relevant to the custody issue. As has been the case over the last 10 months, “we” know Lee is convincing as a performance artist that there are mental issues relevant to the matter, along with other issues. If he has no mental issues as a matter of fact, as he keeps claiming, then it is something else we are not being told that accounts for why he, allegedly, has not seen his kids, with or without supervision, for 10 months. As I mentioned elsewhere, when information is readily available to Lee and not presented, the trier of the facts (us) is justified in concluding the information is not being provided because it is detrimental to Lee’s case. The State was legally and factually justified in the resolution of the matter on Memorial Day 2018. It worked and is working. I have an outstanding offer to take up that matter should Lee, Shara, or another representing Lee’s position want to advance that one-on-one discussion and begin the negotiations appropriate to resolving the logistical details necessary to producing such an event. Should the situation change, I am sure we will hear about it. Lee also did, has done, is doing, a fine job of discrediting himself. We just take note of it at times. 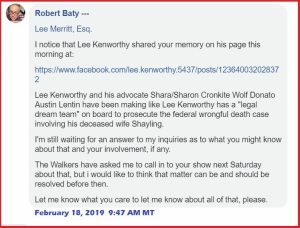 Lee and his mouthpiece, Shara/Sharon Cronkite Michelle Wolf Donato Austin Lentin cannot be open and honest with even the simplest of matters (i.e., the details as to the reported “legal dream team”).